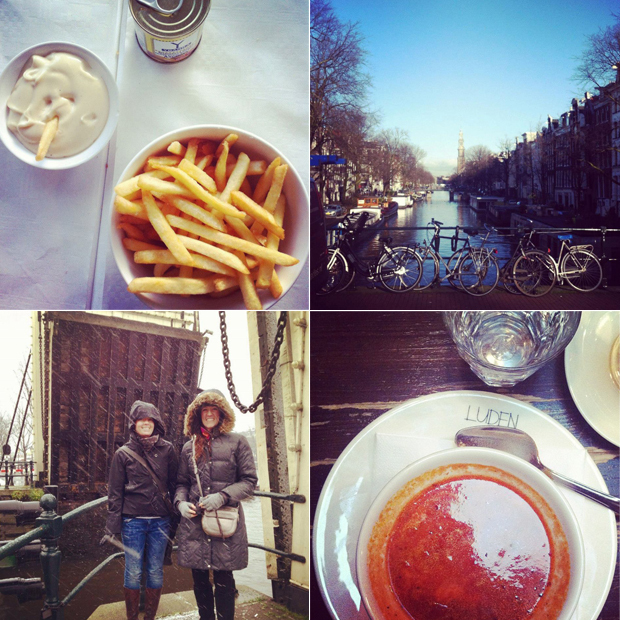 Last week I jetted off to Amsterdam with my best friend from high school and her mother, who grew up in Delph. 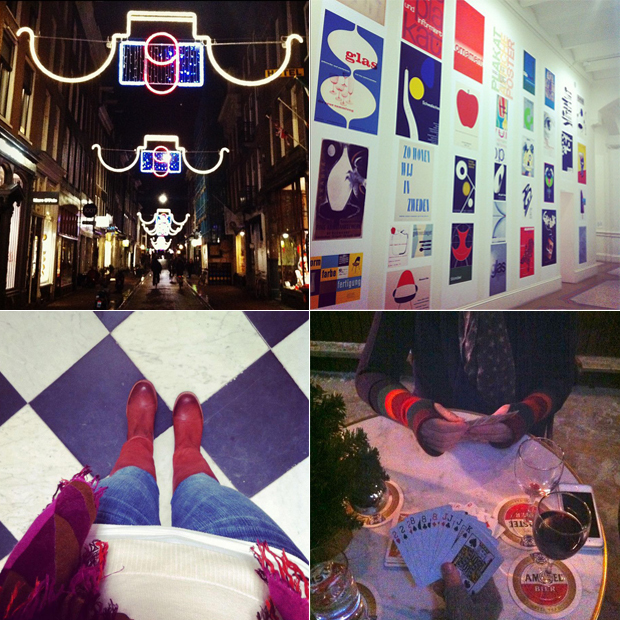 The mother daughter duo visit the Netherlands every December and I was thrilled to be part of the trip this year. 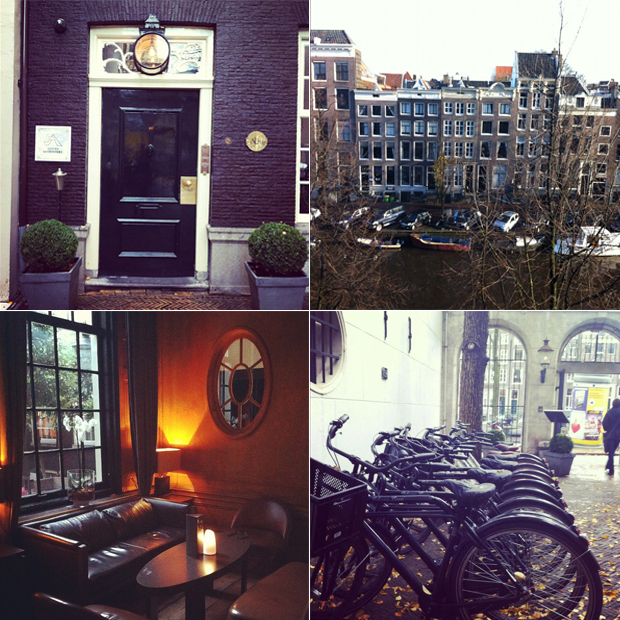 We stayed at a fabulous boutique hotel called The Dylan. Definitely recommend it if it fits within your budget. The staff were wonderful and the hotel itself was quiet, cozy and beautiful. In regards to food, I made it my mission to eat fries at every meal (excluding breakfast). Needless to say, we walked all over the city, so I didn’t feel guilty with the daily indulgence. My favorite sampling of fries was at George W.P.A., paired with a glass of champagne. Cheers to lunch on vacation! Other restaurant favorites included Cafe Luden – perfect spot for tomato soup in the afternoon. As for dinner, we ended up visiting BHIP twice as it was conveniently located across the canal from our hotel. The owner was friendly, fun, and gave us plenty of suggestions of where to go next. If you’re a history buff who enjoys beer, be sure to grab a drink at Cafe Hoppe – technically the oldest bar in Amsterdam. We had a great time visiting with the locals while playing a few round of cards.